Tweak: Changed subcategories filter to dlm_page_addon_get_sub_category_args. If your dlm_page_addon_get_category_args filter should also be applied to the subcategorie block, please also add it to the new dlm_page_addon_get_sub_category_args filter. Tweak: Fixed a PHP7.2 function name convention warning. Tweak: Fixed error in title on Sub-Category overview pages. 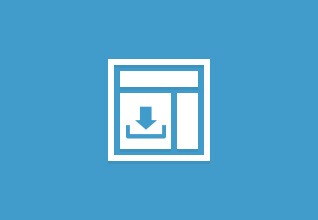 Feature: Downloads in search results can now link to Page Addon information detail page. Tweak: Fixed the need of re-saving the permalinks after plugin activation by better flushing from within the plugin. Tweak: Fixed incorrect download count in category title. Tweak: General code rewrites and clean up. Tweak: Fixed an XSS issue on download tag overview pages. Tweak: Made category wrapper element filterable via dlm_page_addon_categories_start and dlm_page_addon_categories_end. Tweak: Added various filters to filter downloads on all PA pages. Tweak: Added get_page_id() method to retrieve current page ID in code. Tweak: Fixed issue when loading default Download Monitor templates. Tweak: Fixed a bug that prevented sub-categories to be used in the shortcode attribute: include_categories. Replaced Page Addon template loader with Download Monitor global template loader. Added URL of main page addon page to search form action. Use version date instead of download date on detail page. Fixed a download button error.